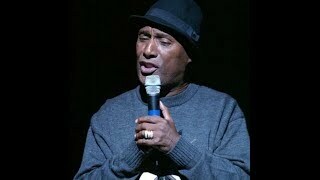 Paul Mooney is one of the most dangerous and brilliant comic minds of our time. This is not a show for those considered easily offended. Mooney was a writer for the television series Sanford and Son, was head writer for In Living Color and the legendary Good Times, and also wrote material for Eddie Murphy and Saturday Night Live. Paul has appeared in several movies Hollywood Shuffle and Bamboozled, and received a Grammy nomination for his comedy album Race.